Home > KMS	> KMS ver. 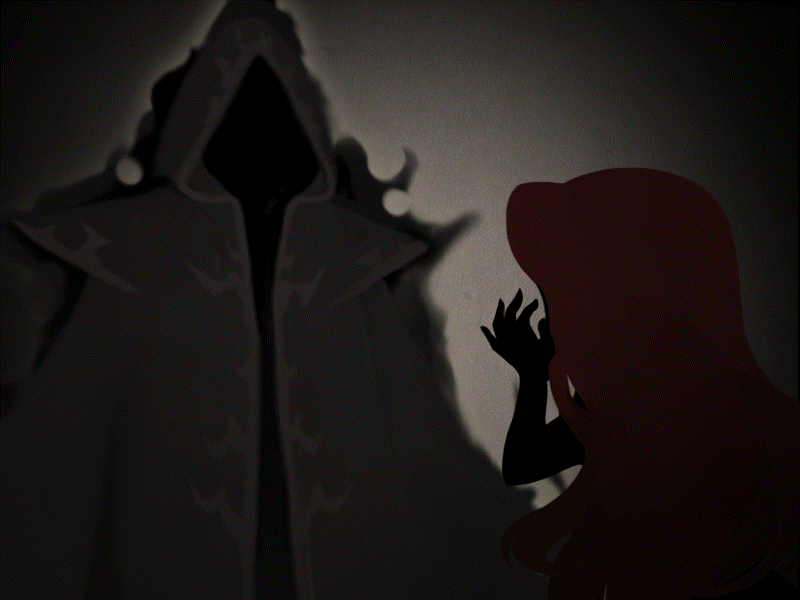 1.2.304 – Black Mage: New Beginning! KMS ver. 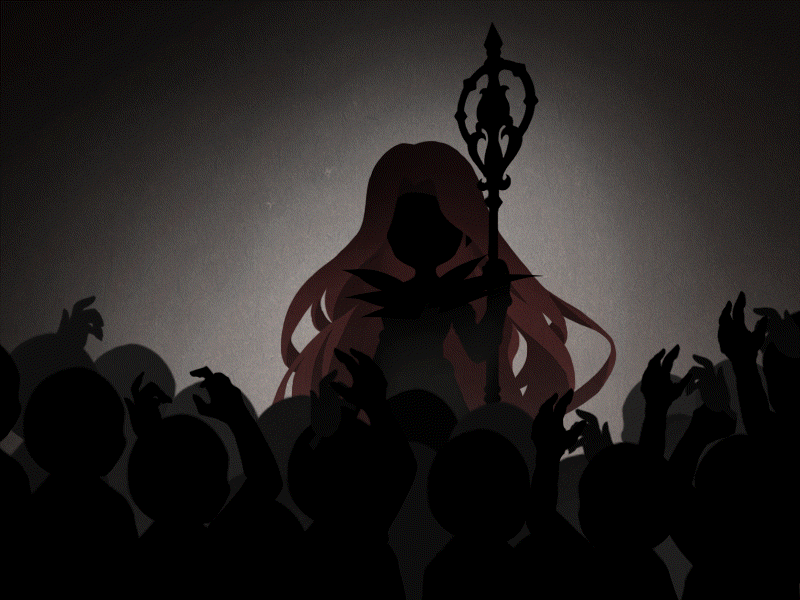 1.2.304 – Black Mage: New Beginning! 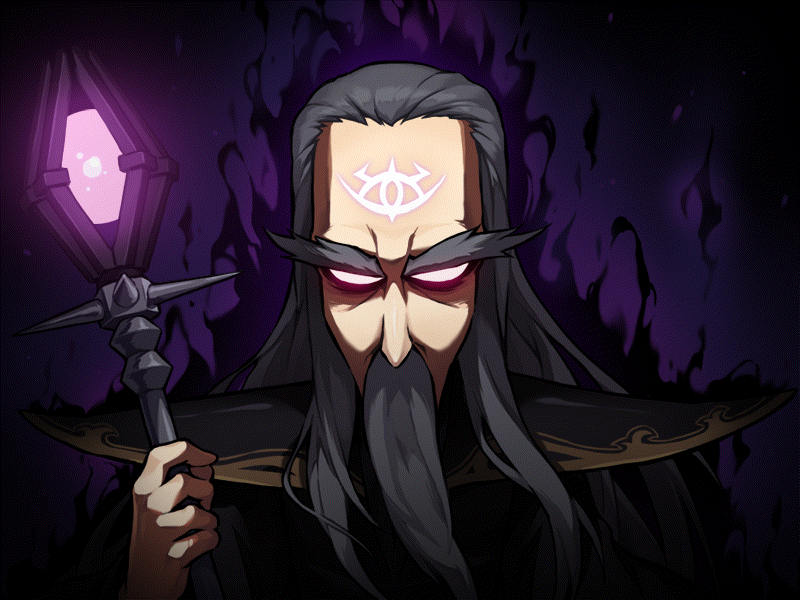 The Black Mage: New Beginning patch contains a permanent version of Arcane River’s final area, Tenebris as well as the ability to fight bosses such as True Hilla and Black Mage and to unlock the true power of the Genesis weapons, the strongest weapons in all of MapleStory! 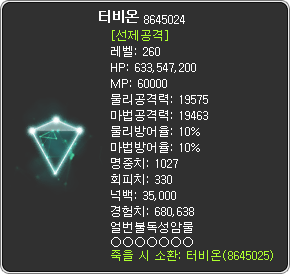 In addition, this patch has (sort of quietly) increased the maximum level cap to level 275. The ride never ends! 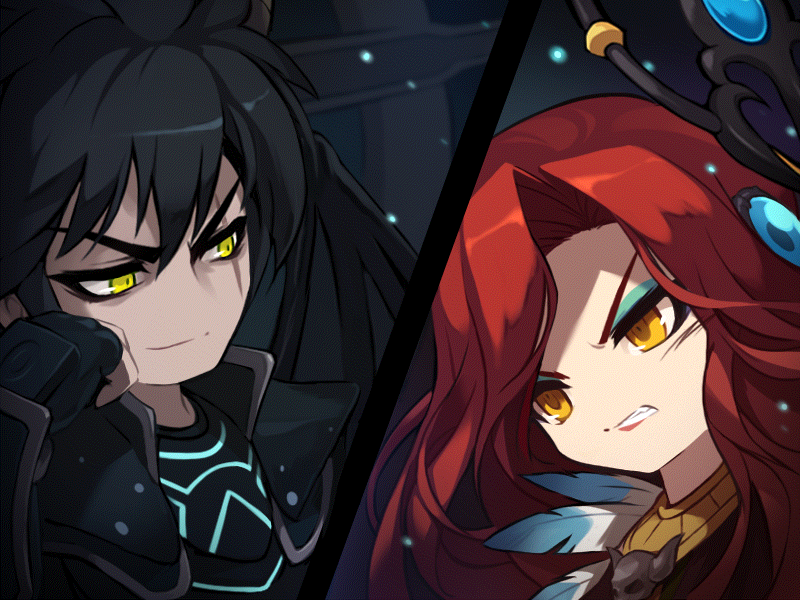 Along with this patch, Nexon released a new cinematic, titled Magnus Memoirs: Dawn of a New Age. 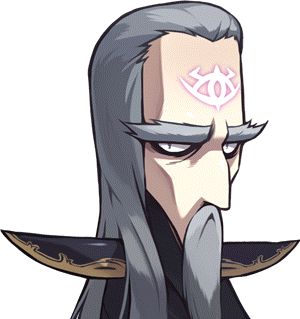 It talks a little bit about Grandis, Magnus’ past, and about his master, Grandis’ Transcendent of Life, Gerand Darmoor. 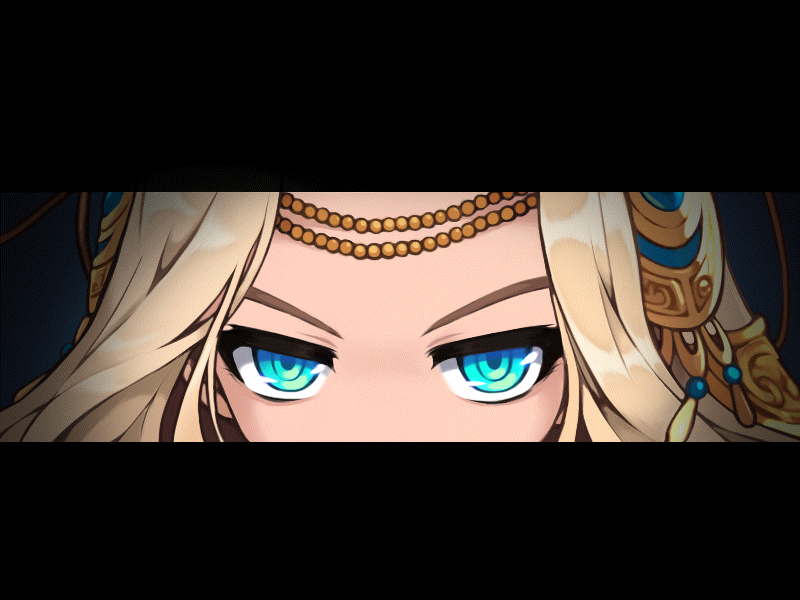 It seems we will be quickly moving forward with Grandis’ story! Here’s the Maple Update Info Centre video for this patch. Arcane River’s final area, Tenebris, is now open. 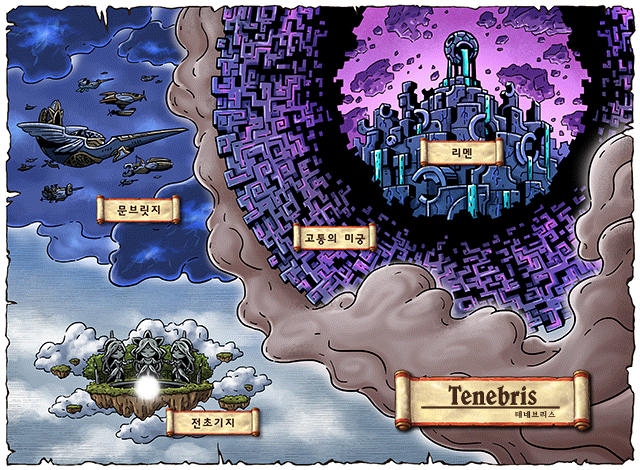 This is the area where the final battle with the Black Mage takes place and powerful monsters reside. 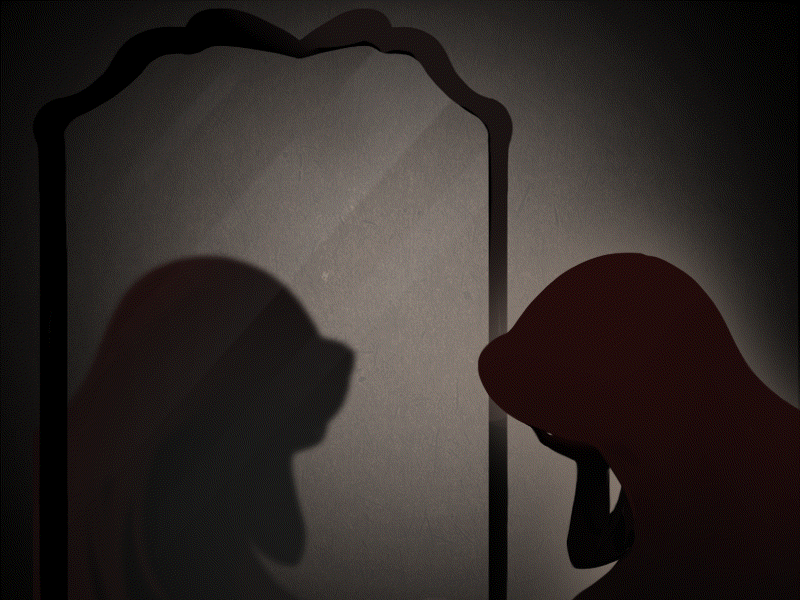 Tenebris consists of three regions: Moonbridge, Labyrinth of Suffering, and Limen. Tenebris’ three regions have the following requirements. The following monsters have been added. 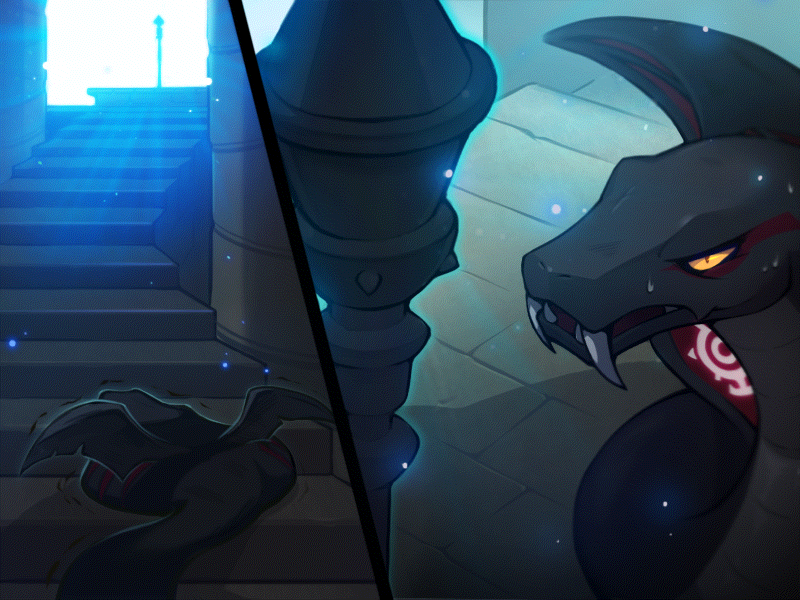 The regions each will have the same storyline as we played through in the Black Mage update, but it seems they have added additional cutscenes and illustrations. 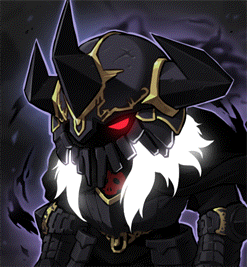 Tenebris’ daily quests have been added. 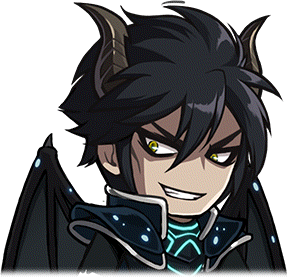 For each region of Tenebris that you complete the story quests in, you will be able to complete 1 quest for a total of 3 per day. They all require you to kill 200 of a specific monster (except for one that requires you to clear the Labyrinth dungeon). These daily quests will give you Flames of Desire, which I will mention further down in the post. 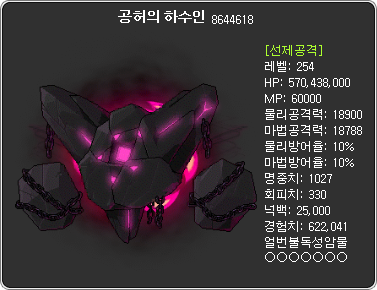 The new boss, Dusk, has been added. 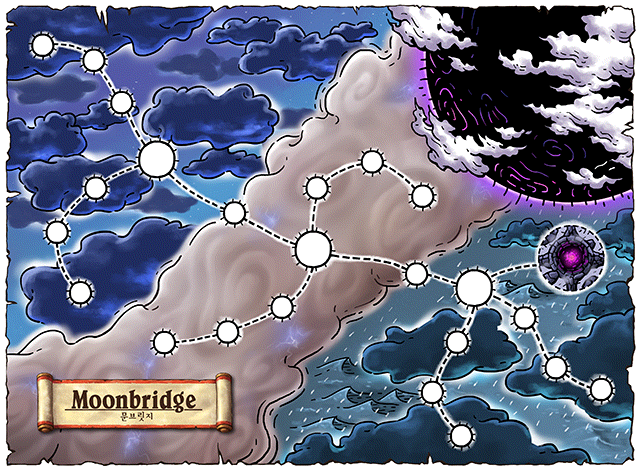 Dusk is the gigantic monster that appears in the air above Moonbridge, and is created from the Black Mage’s inner thoughts. After completing the Moonbridge story quests, you can fight Dusk in the Eye of the Void. 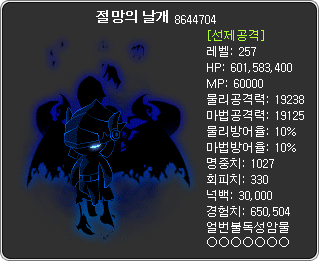 Dusk can be fought in a party of 1~6 players. 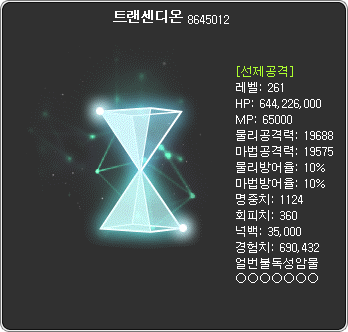 Dusk can be entered 1 time per day and can be cleared 1 time per week. 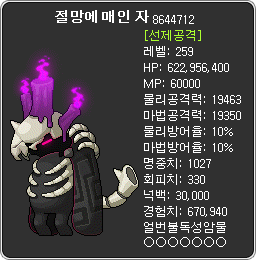 Dusk requires 730 Arcane Force. 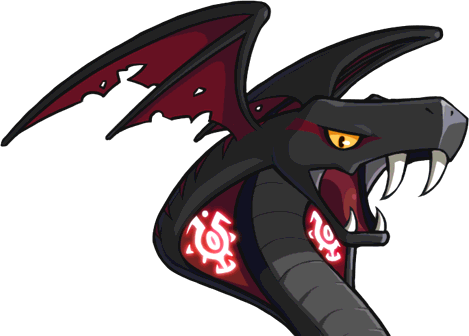 Dusk is a giant monster that uses various attacks such as tornados, lasers, and tentacles from above. 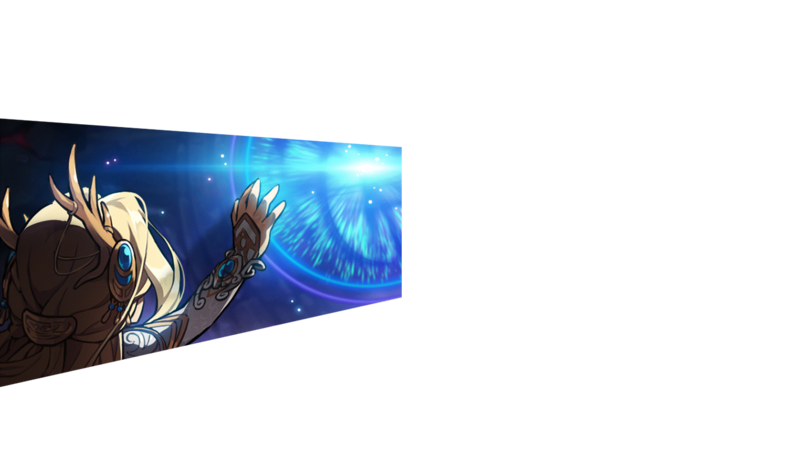 It also has a 1HKO attack that covers the screen in darkness, and the only way to avoid it is to stand in the shield created by Cygnus. During the Black Mage update quests, it had a special mechanic where if you were able to survive for 3 minutes, you’d then be able to enter its Core and deal additional damage. However, for every attack that you got hit by, the map timer would go down. I don’t know if this same mechanic will be used in the actual boss. 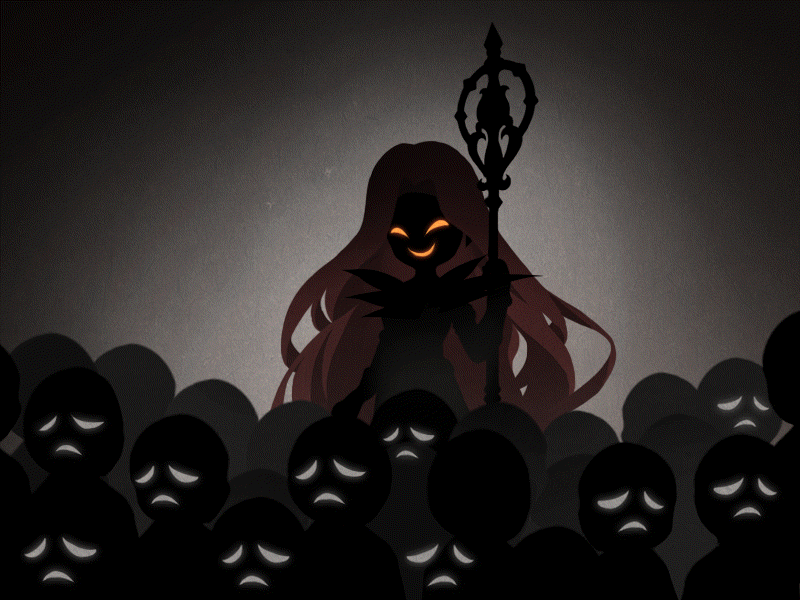 The new boss, True Hilla, has been added. 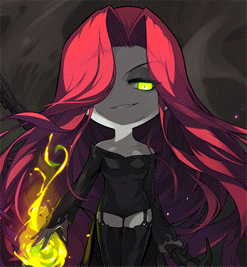 True Hilla is the Black Mage’s Commander, with a new appearance and powers. 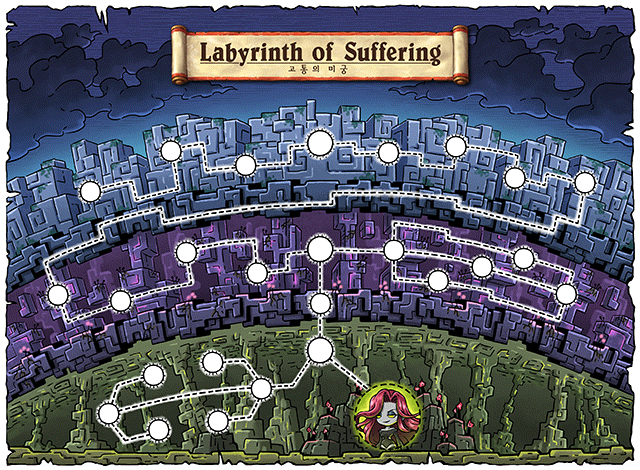 After completing the Labyrinth of Suffering story quests, you can fight True Hilla by clearing the Deepest Dungeon. True Hilla can be fought in a party of 1~6 players. 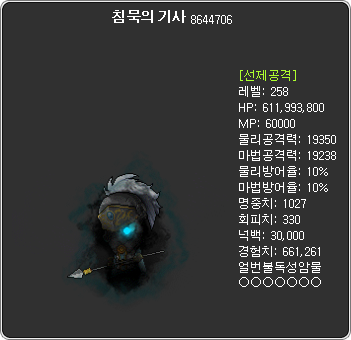 True Hilla can be entered 1 time per day and can be cleared 1 time per week. 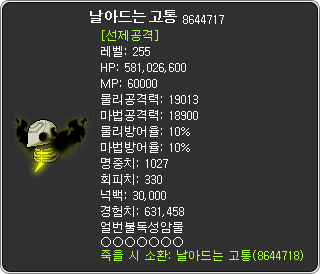 True Hilla has a special mechanic based on your Death Count. You have a total of 5 green skulls that act as your lives. If you die, you’ll lose one skull like normal. However, when you are hit by the puppet strings that appear across the map, one of those skulls will turn pink. Eventually, True Hilla will slash her scythe across the map, instantly removing all of your pink skulls (and your Death Count with it). To avoid this, you must attack the altar that appears randomly before Hilla reaches it to restore your pink skulls to green. 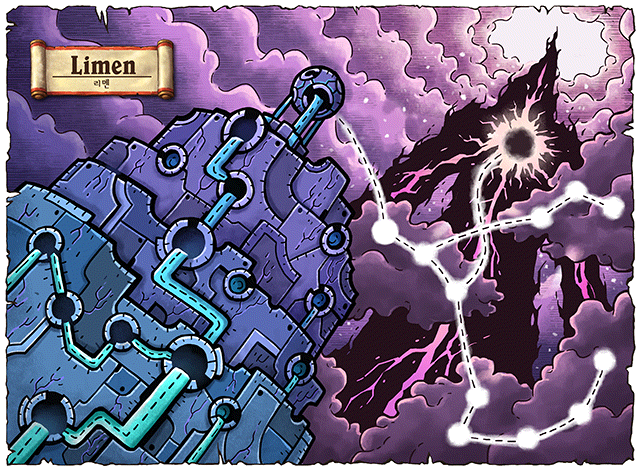 True Hilla, like a true shamaness, is able to summon the departed spirits of two past Commanders, Suu and Demian! True Hilla gives the new pendant, the Root of Suffering. It gives 10 all stats, 5% HP, 3 attack/magic attack, 200 defense, and has 5 slots. 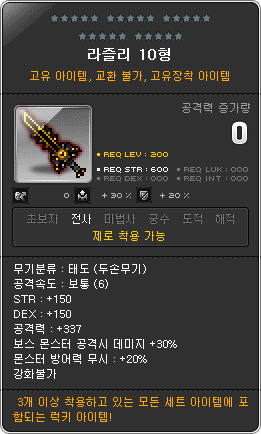 It is untradeable (can be traded with the Platinum Scissors of Karma), unique equipped item, and is part of the Dark Boss set. 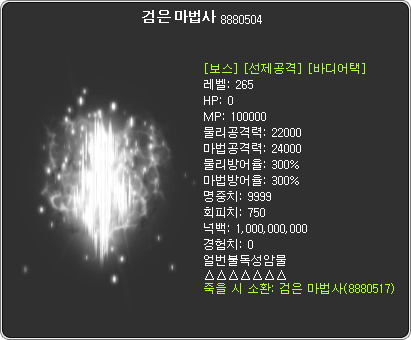 True Hilla’s Soul Skills have been added. 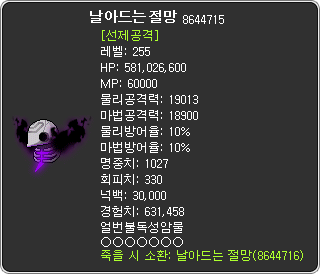 The Soul Collector has been updated for True Hilla. Normal: Wandering forever, deeper into the swamp, that is the end of your destiny. Hidden: Kyaa~♥ I’ll always be next to you! The new boss, Guard Captain Dunkel, has been added. Dunkel is the chief of the Black Mage’s Elite Bosses. After completing the Limen story quests, you can fight Guard Captain Dunkel at the Place Near the End. Guard Captain Dunkel can be fought in a party of 1~6 players. Guard Captain Dunkel can be entered 1 time per day and can be cleared 1 time per week. While fighting against him, Dunkel will constantly summon Fallen Warriors, who have a shield that causes all attacks against them to miss for a certain period of time. 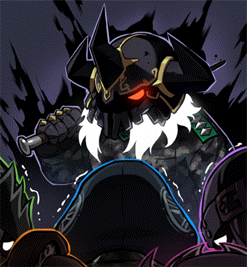 He will also summon the various Elite Bosses occasionally. Guard Captain Dunkel’s Soul Skills have been added. The Soul Collector has been updated for Guard Captain Dunkel. Normal: For the Great One. Hidden: Today, the Guard Captain was very disappointed in you. 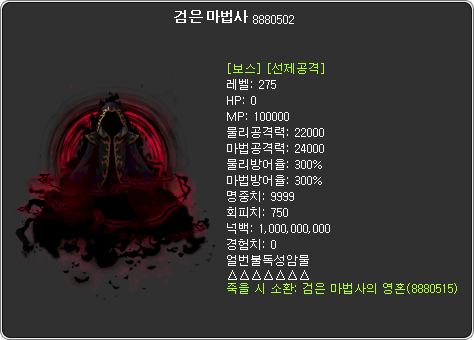 The new boss, the Black Mage, has been added. You will be able to fight against the beginning of all darkness. After completing the Limen story quests, you can fight the Black Mage at the Giant’s Heart. The Black Mage has a requirement of 1320 Arcane Force. The Black Mage can be fought in a party of 1~6 players. 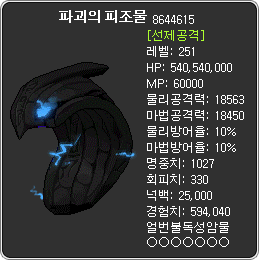 The Black Mage can be entered 1 time per day and can be cleared 1 time per month. The Black Mage uses a special Death Count mechanic. You get a total of 12 deaths, as shown in the UI above. 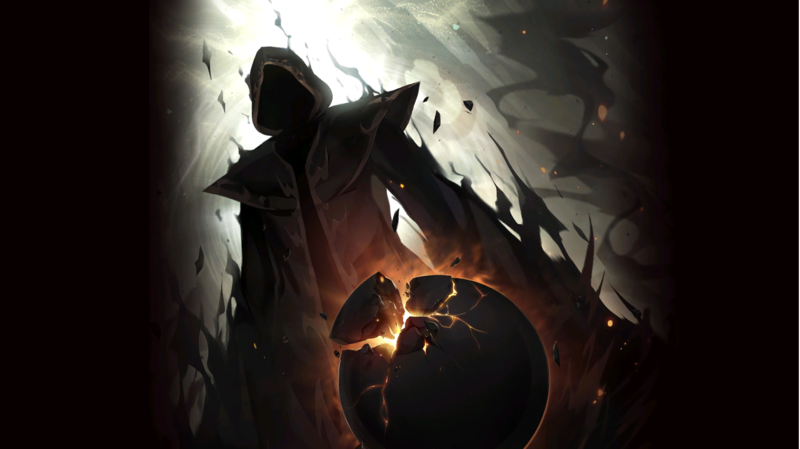 Every time you die, one orb will be removed. But that’s not all, each phase has special ways of removing your deaths as well! When you are hit by one of them, you will be cursed, and if you are hit by the other while cursed, you will instantly lose one of your deaths. 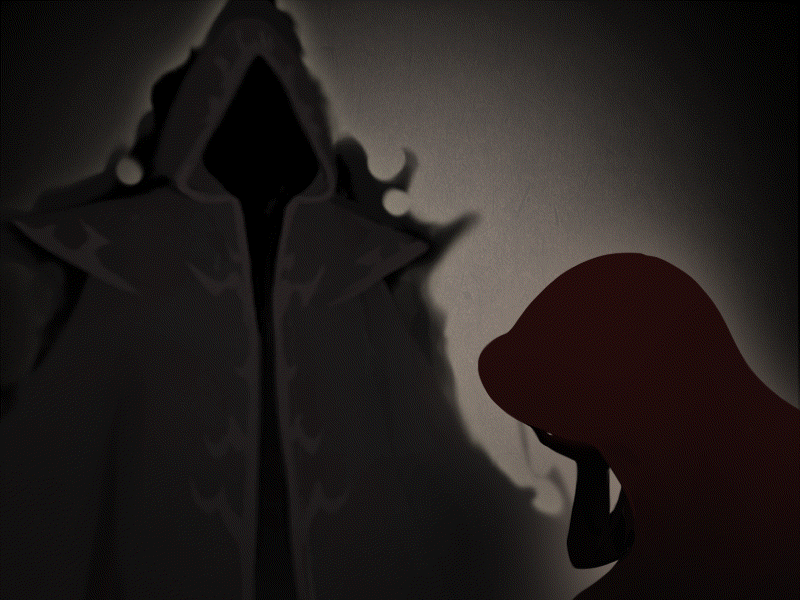 In Phase 3, you’ll fight the Black Mage in a different form, one made of what seems to be light. The map will be bombarded with lasers and if you are hit by them twice, you will instantly lose a death. In this phase, Orca will also appear and help you out occasionally. dealing high amounts of damage with her attacks. The Black Mage gives the new Badge of Genesis, which gives 15 all stats, 10 attack/magic attack, and 10 speed/jump. 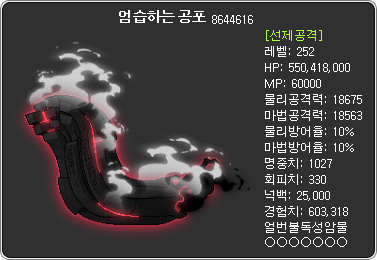 It is tradeable until equipped and is part of the Dark Boss set. You will also be able to acquire a trace of the Black Mage’s power, a Genesis weapon, and work to liberate its true strength. After completing the Limen story quests, you can begin the Genesis weapon quest through the quest notifier. After defeating the Black Mage, Nineheart will give you the Sealed Genesis Weapon Box which gives you the sealed Genesis weapon for your class. This weapon will have only its base stats, and cannot be potentialed, scrolled, or Star Forced. 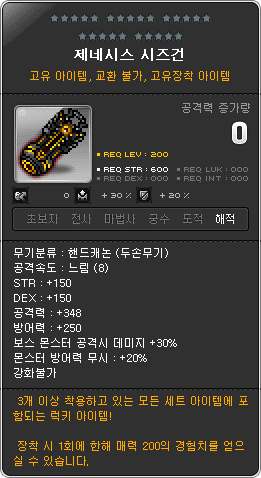 You can then liberate the sealed Genesis weapon through various missions. For Zero, after completing all missions, you will receive the Genesis Essence which allows you to enhance Lapis/Lazuli to Stage 10. 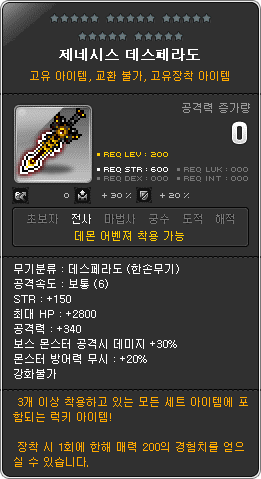 Note: Click on the weapon for a larger picture. 공격력 = attack, 마력 = magic attack. Each weapon also has 30% boss damage and 20% defense ignore. The weapons are ordered by warrior/magician/archer/thief/pirate! Only 1 Genesis weapon can be acquired per character and it cannot be traded. 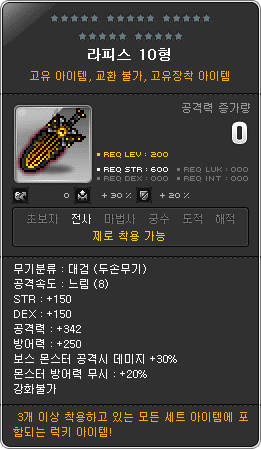 The weapon is a Lucky item, it will be able to fill in all set effects of which you have 3 or more items already equipped! You cannot Star Force or Scroll Trace the item any further. You can cube its potential. For Zero, you will be able to choose if you would like to transfer the potential and additional potential. Demiurge of Destruction: When you hit an enemy, manifest the power of destruction, increasing your final damage by 15% for 30 seconds. Cooldown: 90 seconds. 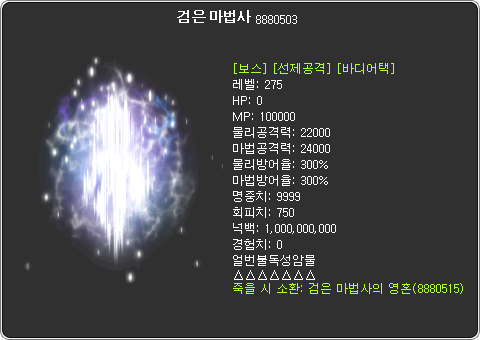 Aion of Creation: Manifest the power of creation, becoming invincible for 10 seconds. 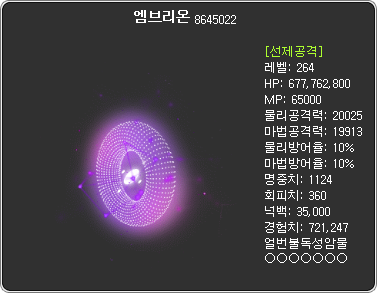 When the skill ends, activate the Aura of Genesis, dealing 1500% damage 7 times on up to 12 enemies. You can reuse the skill to instantly end it. Cooldown: 180 seconds. 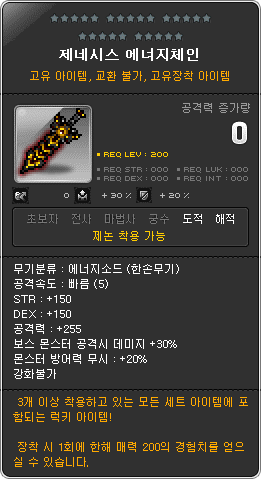 If you lose your sealed Genesis weapon/Genesis weapon/Genesis Essence during the quests, you must redo the missions again from the beginning. The patch notes did not specify what the missions required to fully liberate the Genesis weapons are but here are the quests related to it. Note that the sealed Genesis weapon cannot have potential, be scrolled, or be enhanced. 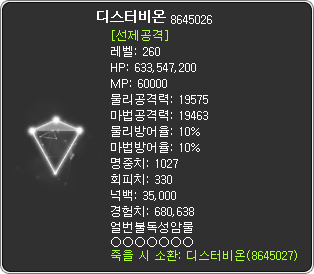 You will only have the item’s base stats! 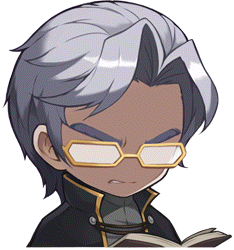 You must solo Hard Von Leon with only the sealed Genesis weapon and a secondary weapon equipped. Only your items’ base stats will apply. Your final damage will be decreased by 90%. 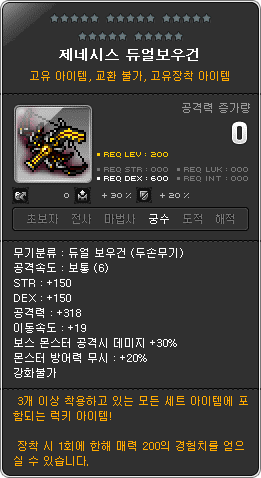 You must solo Normal Arkarium with only the sealed Genesis weapon and a secondary weapon equipped. Only your items’ base stats will apply. Your final damage will be decreased by 75%. You must also collect a Piece of the Black Mage by defeating him again. Certain achievements which were restricted during the Black Mage update will be returned to normal. 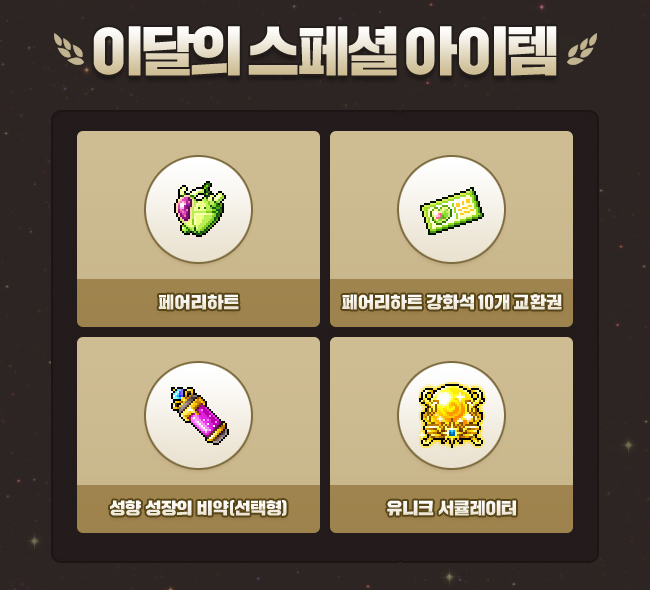 New achievements have been added. The maximum character level has been increased to level 275. The V Matrix’s maximum number of slots has been expanded. When you achieve level 275, you will receive the Brilliant Symbol of Honor Chair. 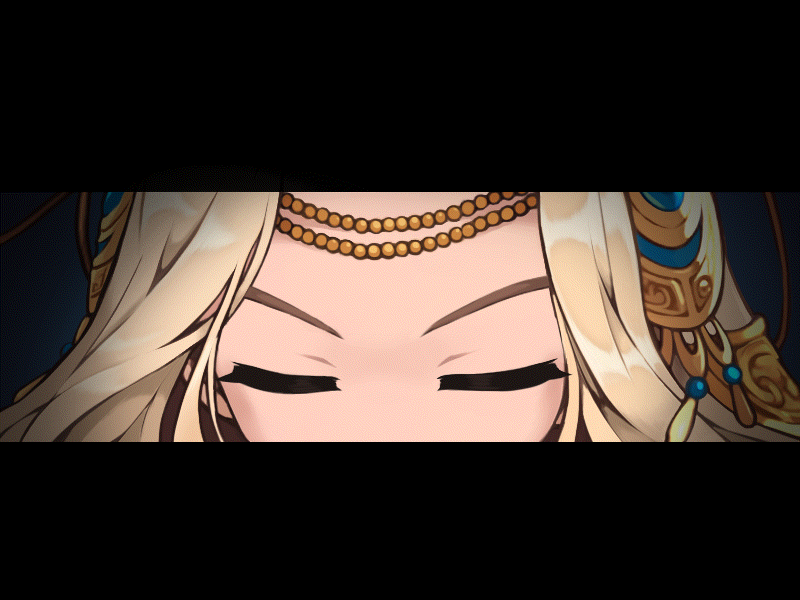 While sitting in this chair, the BGM around you will change and other players who fame you will receive a 50 attack/magic attack buff. Hyper Stat points will only be given up to level 250. On the homepage, the Rankings page has been split into regular worlds and Reboot worlds. The Rankings from January 31, 2013~September 6, 2018 can be viewed separately. 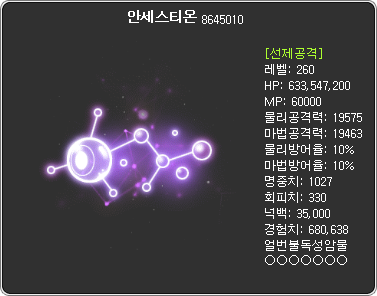 Here’s the new experience table, thanks to 투딩 from Inven! Zero character creation has been opened. You must have a level 100 or higher character in the same world to create a Zero. 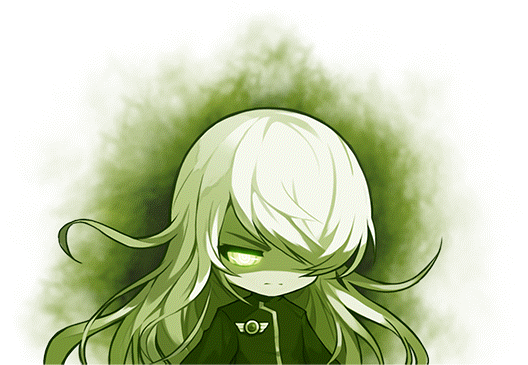 Zero cannot be created in Reboot world. 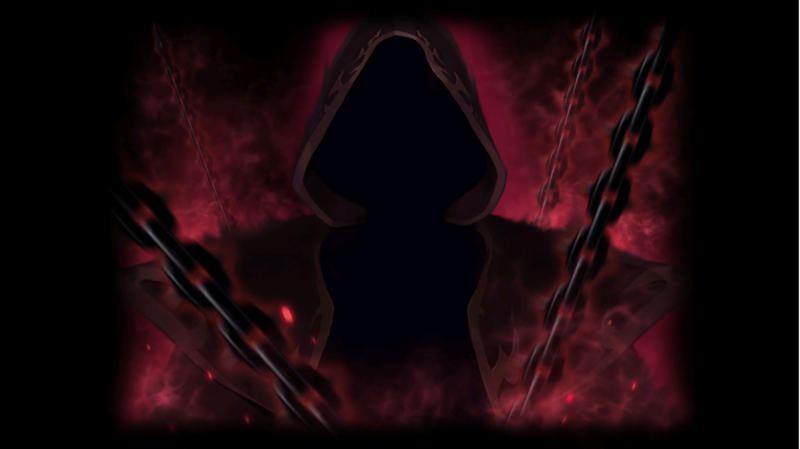 The Messenger of Darkness has appeared. 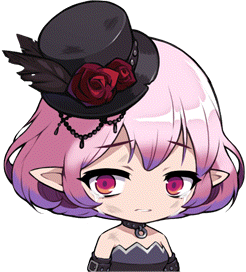 At certain times, instead of an Elite Monster, a powerful Messenger of Darkness who wishes to infect Maple World with darkness will appear. The Messenger of Darkness has higher health than regular Elite Monsters but also gives more experience. The Hall of Fame character NPCs have been removed. 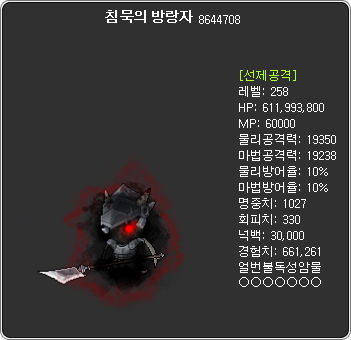 The first level 200 character, 타락파워전사, will remain. 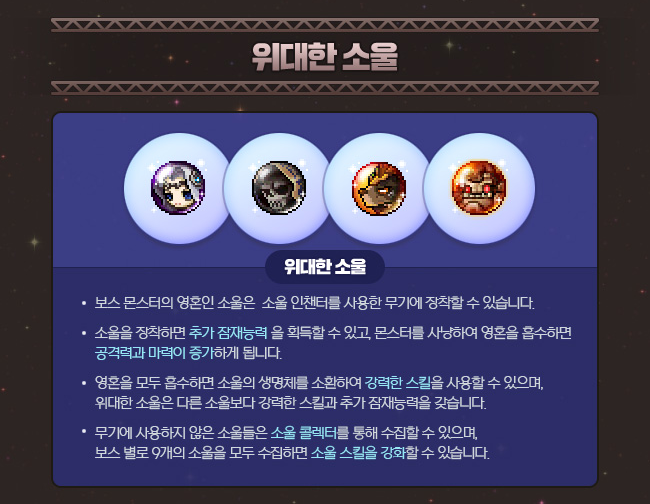 You can no longer register new characters for the Hall of Fame. 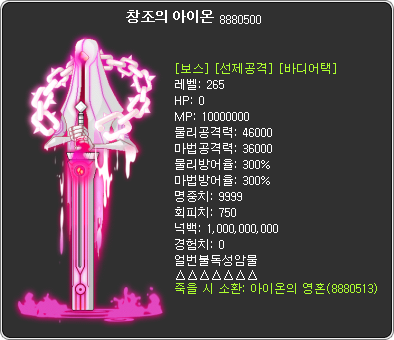 Zero can now acquire Essences from certain bosses. 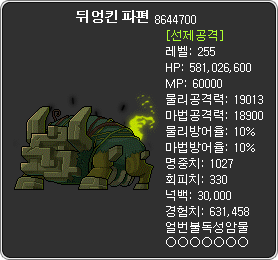 Hard Demian and Hard Suu can now drop the Absolabs Essence. 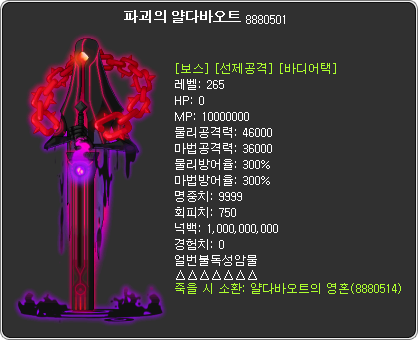 Hard Lucid and Hard Will can now drop the Arcane Shade Essence. Urus Golden Time, which was extended during the summer, will return to its regular time of 8pm ~ 10pm. Boss monsters’ Charisma experience and WP have been changed based on their difficulty. In the exit map of Pollo’s Bounty Hunter content, you can now use non-movement related skills. The experience given from Flame Wolf has been changed to be based on the experience of monsters in the map that you entered it from. 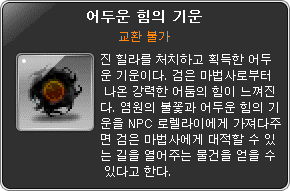 This is to increase the reward for characters who are hunting in maps with high difficulty. Pets which cannot have Pet Skills or Nametags used on them will now state their restrictions in their item tooltips. 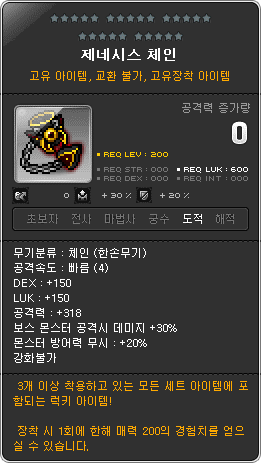 When Angelic Buster has a Cash item equipped that has a set effect which gives an active skill, they will now be able to use it regardless of whether they’re in normal or Dress Up mode. Haven, Abandoned Camp, and the Arcane River areas have been changed in the Maple Contents Map. 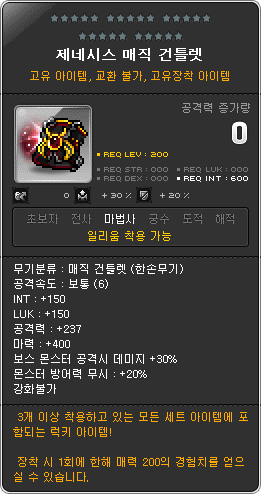 The contents’ maximum level has been changed to be +20 levels from their beginning levels. 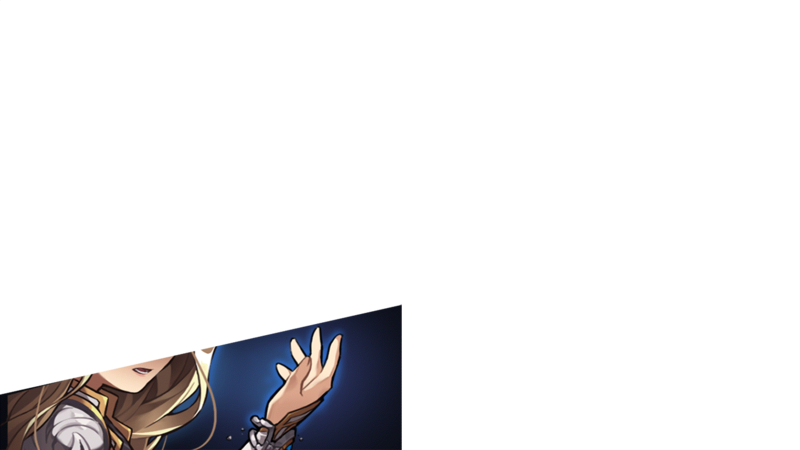 The stamp requirements for Road of Vanishing, Chew Chew Island, Lacheln, and Arcana have been changed to complete each area’s story quests. Any stamps already acquired will not change. 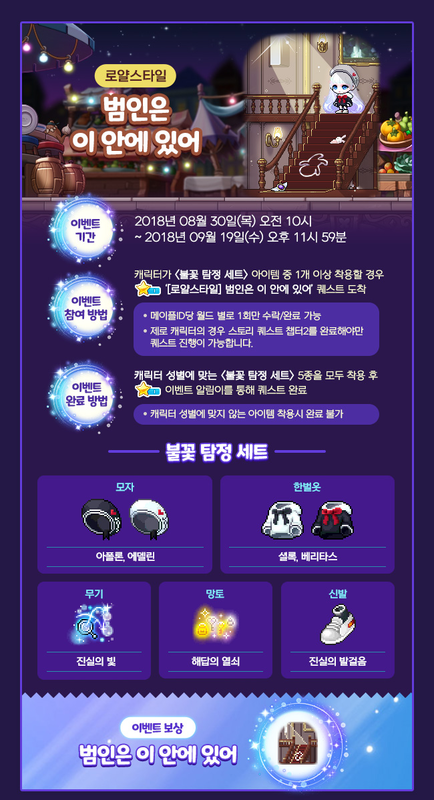 The [Theme Dungeon] Mushking’s Invitation quest can no longer be forfeited and the Mushking’s Invitation item can no longer be dropped. Premium PC Room only free items left in the Cash Storage without being moved into your inventory will now disappear upon exiting the Cash Shop. 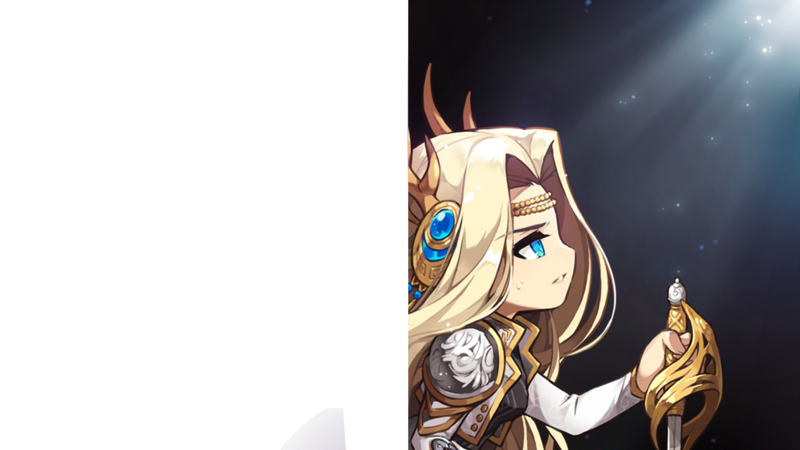 The limitation of creating characters in Scania, Luna, and Elysium that began on July 5 has now ended. Fixed an error where Zero characters equipping a cape with a mount skill set effect on Beta would not activate the mount skill. Fixed an error where Scorpions dropped the quest item Cat’s Eye. Fixed an error where the game would exit if you immediately entered the Auction House after participating in Hekaton where the minimap would disappear. Fixed an error where the Black Heaven Interior Request: Broken Building Repair quest’s watchtower would appear on different maps. Fixed an error where items and equipped PC room only Cash items would not appear when reconnecting in a PC Room. 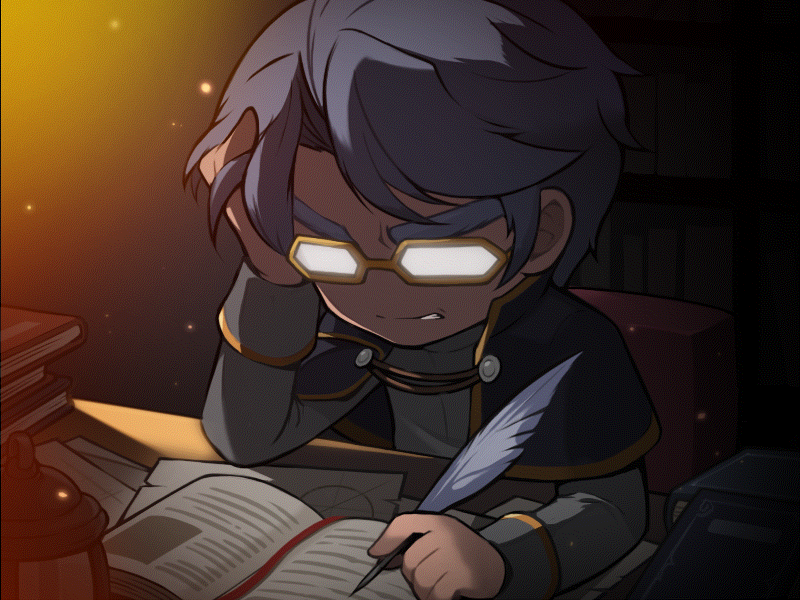 Certain scrolls and items have been added to the list of things that cannot be used on items that have been locked. 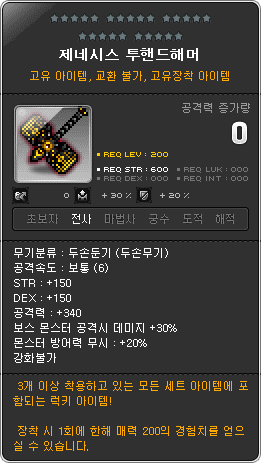 The Medal Anvil can now only be used on two items that have the same gender requirements. Fixed an error where when hunting monsters as a Zero, monsters would drop swords regardless of their level. Adventurer magician’s Arcane Aim’s activation logic has been changed. 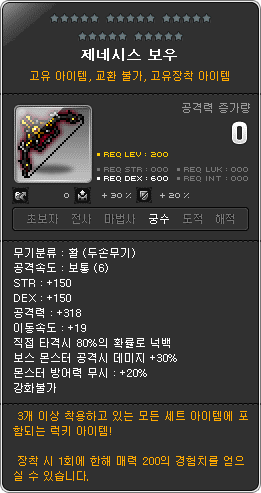 The skill has been changed to reduce server load, but the effectiveness will not change greatly from the existing skill. 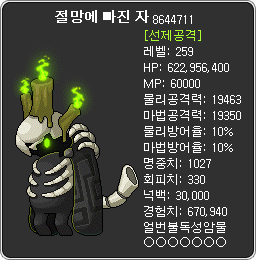 The number of hits activation requirement has been removed, the skill now stacks 1 time whenever a skill hits an enemy 1 time. 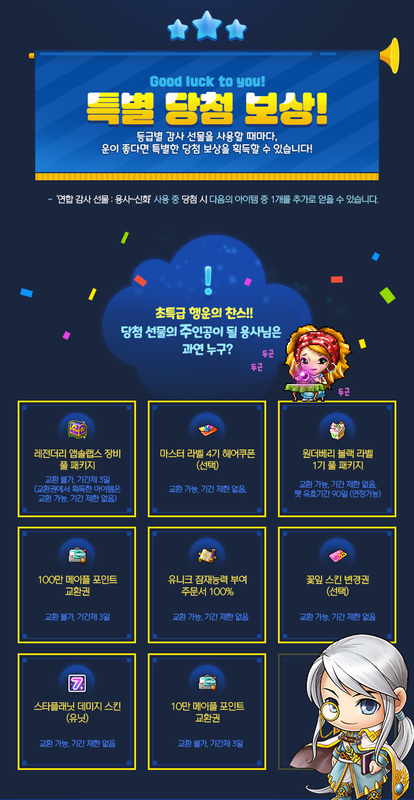 The stack rate has been changed from 50% to 80% (at level 30). The duration will now be displayed in the tooltip. Wild Hunter’s Call of the Hunter has been changed. 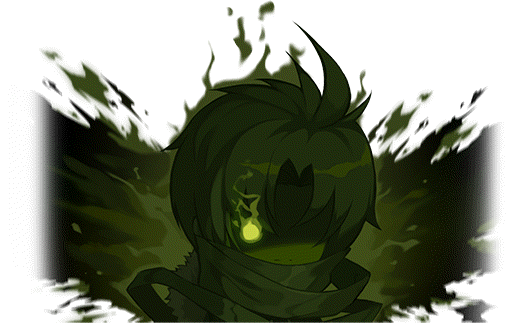 The summoned monster will now use the character’s skill damage instead of the monster’s damage. 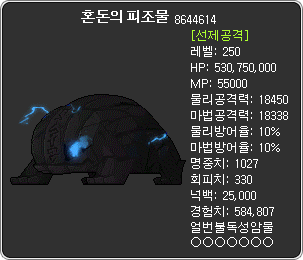 The damage will be increased based on the monster’s level. The duration has been changed from 20 seconds to 60 seconds. The cooldown has been changed from 10 seconds to 30 seconds. You can now only summon 1 monster. 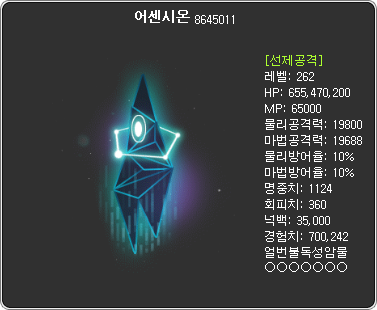 While Soul Master is using Soul Eclipse, you can no longer use Solunar Divide while using other skills. 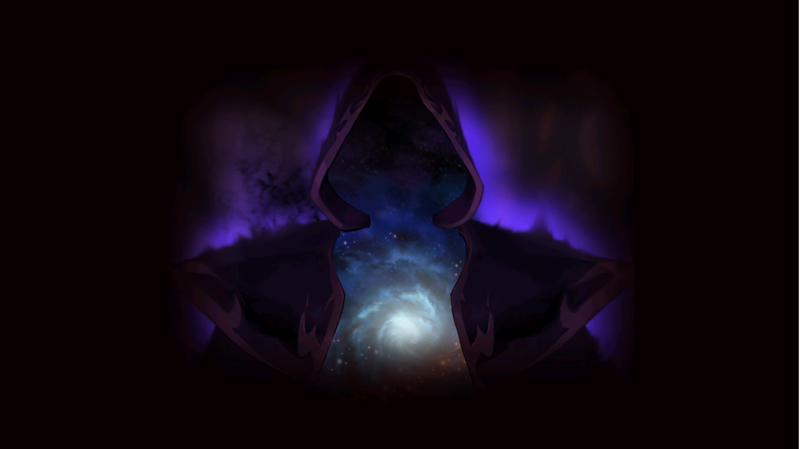 While Battle Mage’s Grim Reaper is summoned, you can now move further away before it teleports to your location. 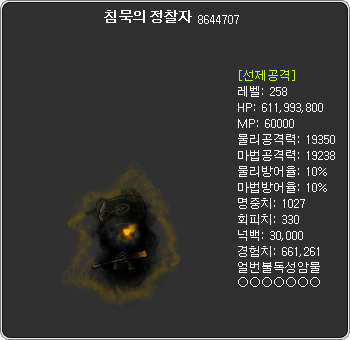 Mechanic’s Metal Armor Full Burst‘s cooldown will now apply immediately after casting the skill. 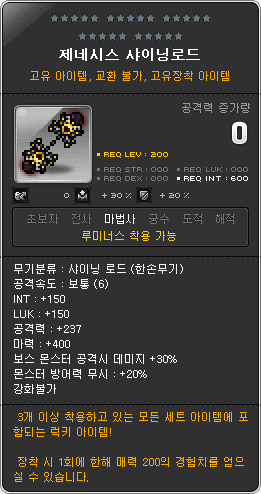 Kinesis’ Psychic Bullet can now only have 1 Micro Black Hole existing at a time. Fixed an error where you could use transformation potions while casting skills. Fixed an error where Heroes could use Combo Force with the down arrow key in maps that blocked movement skills. 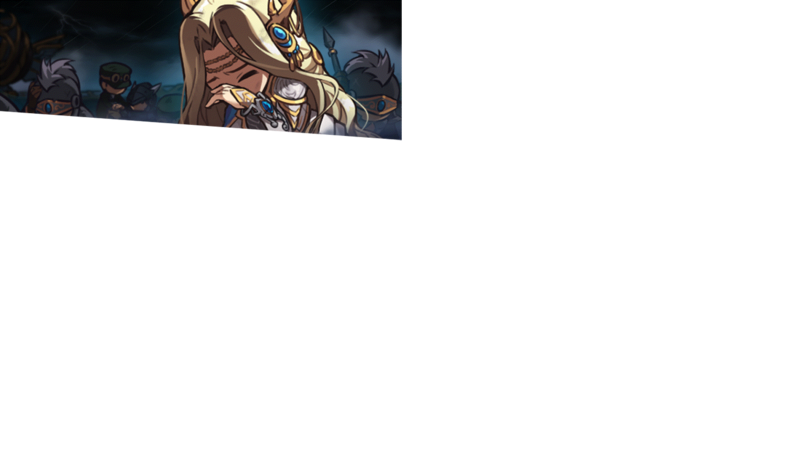 Fixed an error where Blaster’s Burning Breaker action could be cancelled using certain skills. 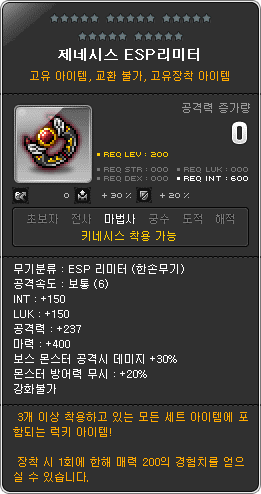 Fixed an error where Kinesis’ Psychic Bullet would not consume HP after using Overload Mana. 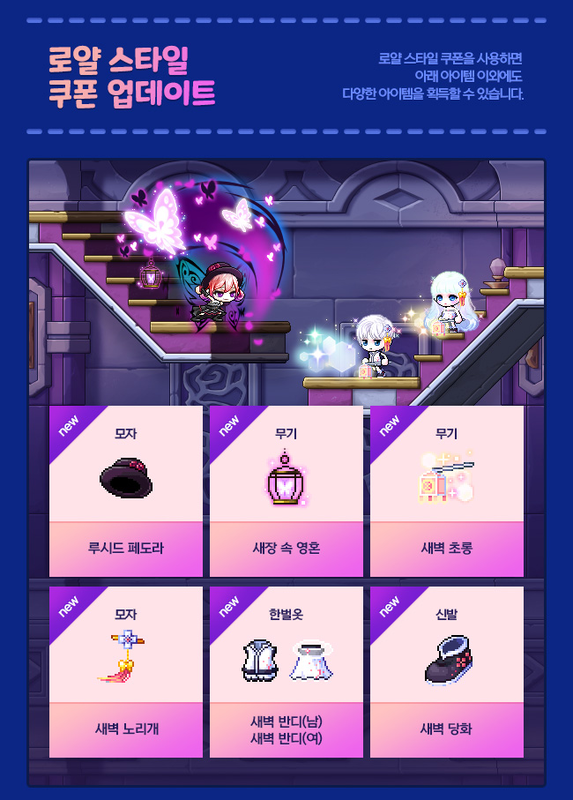 You can now payback certain Royal Style equipment in the Cash Shop that could previously only be traded to Big Headward in the Henesys Hair Shop. 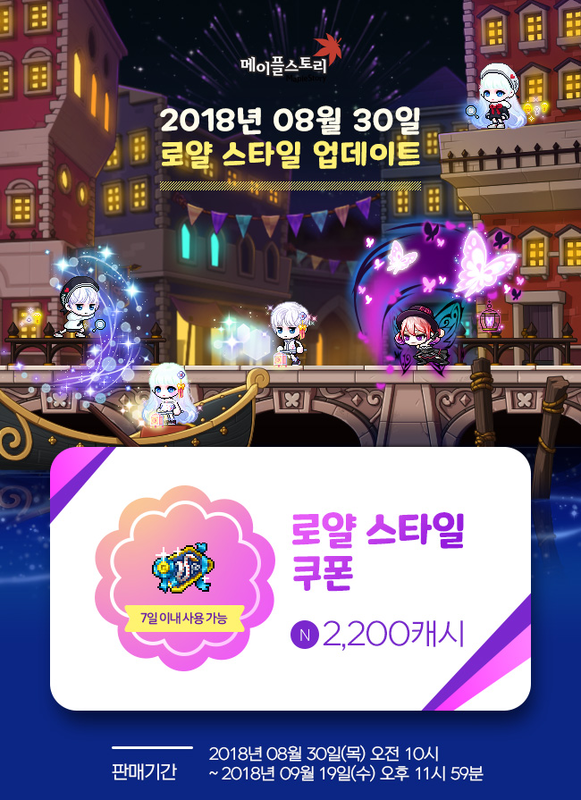 The Royal Style Coupon has returned, and will be sold until September 19. 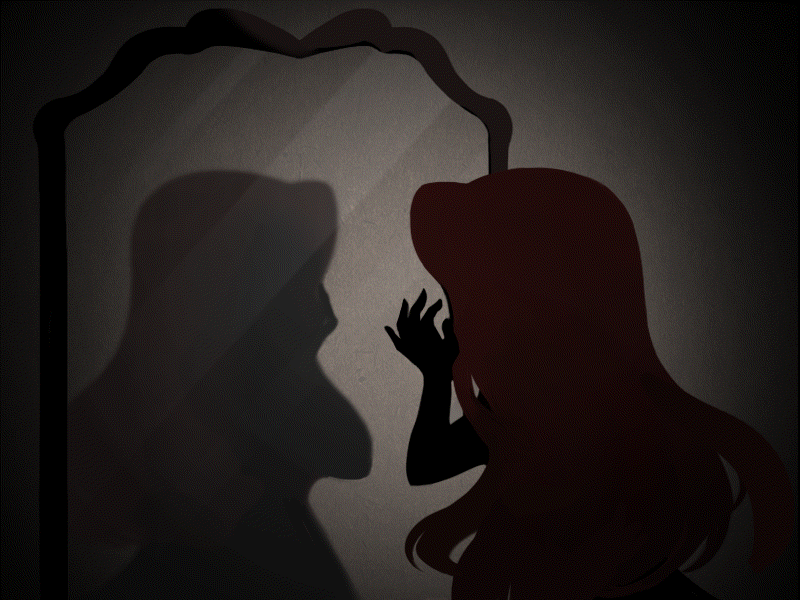 It has a new set of items, including the Lucid Fedora and Nightmare In a Cage. It includes the new Special Label set, the Blazing Detective set! If you collect all 5 items, you’ll also get The Killer is In This Room Chair! The Master Label set is the Master Stellar set. 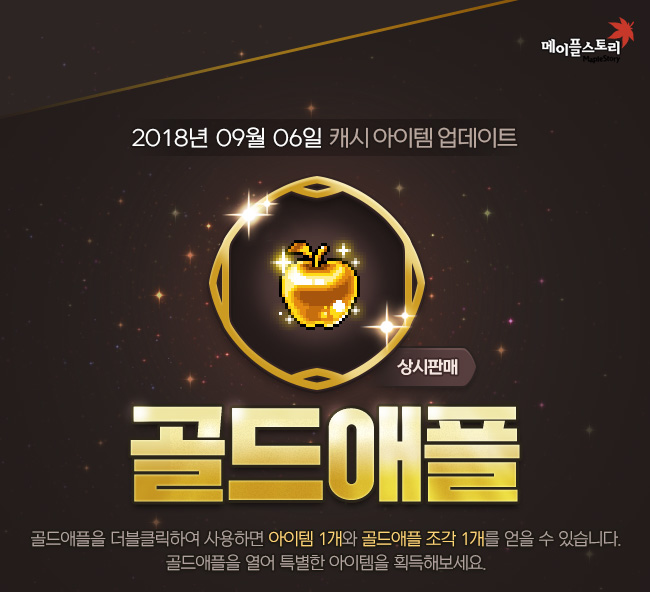 To celebrate the victory of the Alliance against the Black Mage, the Alliance’s Victory Appreciation Gifts event will run from September 6 to September 19. This event is based off the Alliance rank that you ended off as before the patch. You can no longer increase your Alliance rank and all Alliance skills have been removed but the Alliance Supply Shop will be open until September 23. Based on your Alliance rank, you’ll receive a special title. These titles are account tradeable and have stats that expire in 1 month, on October 5. 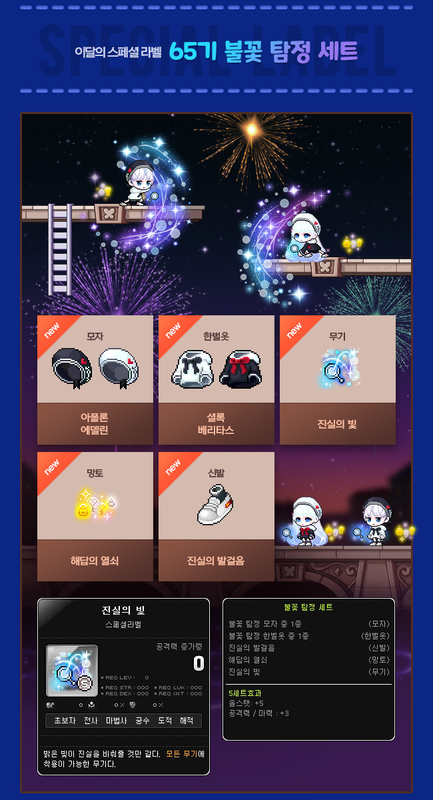 In addition, based on your Alliance rank, you’ll receive a set of special giftboxes. If you had a high Alliance rank, you’ll also receive all the lower giftboxes, for a maximum of 5. Each box has a small change to give additional rewards if you’re lucky, which I will detail at the end. 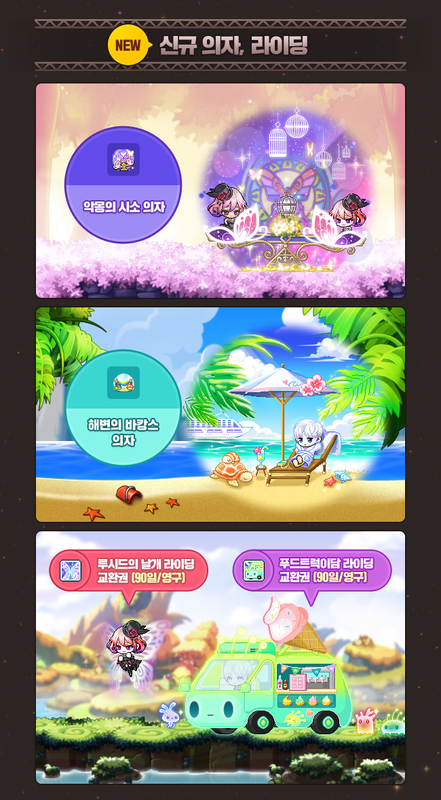 The New Beginning event will run from September 6 to September ??. While hunting monsters around your level range, you can acquire Maple World’s Aura. You can collect up to 200 per day. You can then take the items to the Maple Tree of Peace in Henesys, Leafre, and Nameless Town to trade in for Alliance Medals. 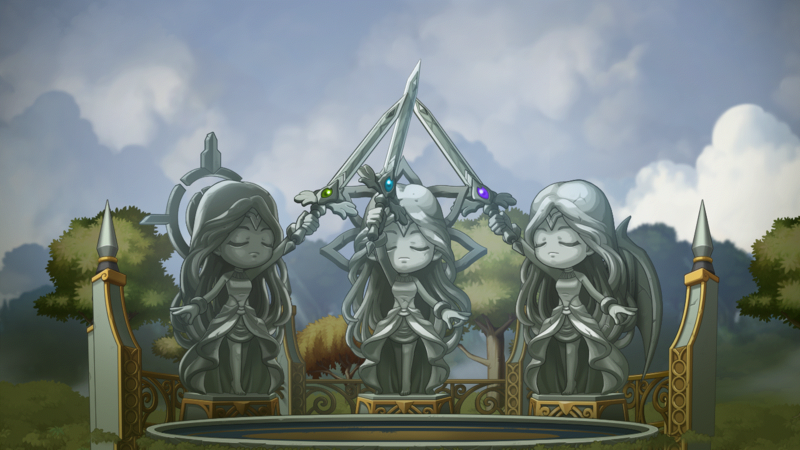 You’ll receive 1 Alliance Medal for every Maple World’s Aura. 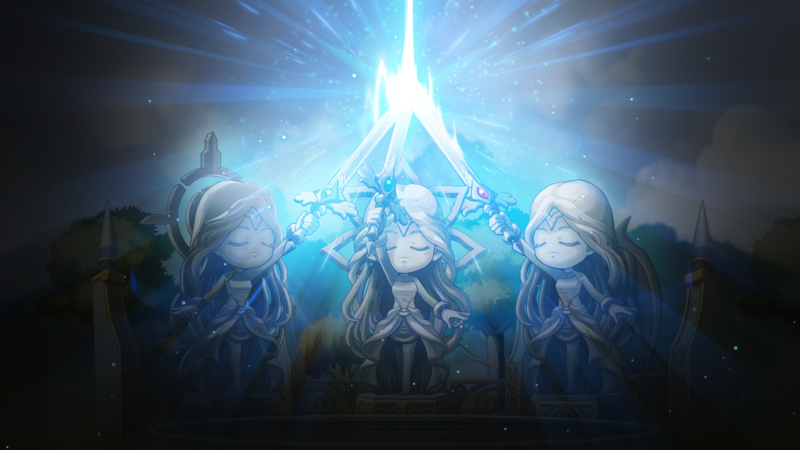 If you trade in 200 or more Auras in a single day, you’ll receive the Maple Tree of Peace’s Blessing buff, which gives 30% additional experience for 30 minutes. The buff can only be received once per day. 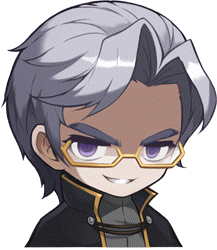 The Sunday Maple event will take place on September 9 and September 16. First, young Magnus looks so cute! yo max did they nerf the genesis weapon? 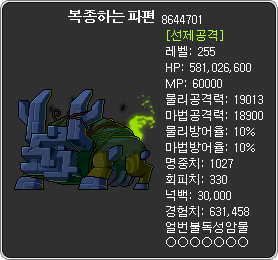 Yep they did nerf their attack/magic attack from KMST. You should clarify that you can only obtain the Sealed Genesis Weapon box by defeating the Black Mage. You don’t receive it by finishing the Limen story questline. With the new level cap being 275, what will happen the 250 chair now? Still exists, though there’s a new 275 chair in addition. 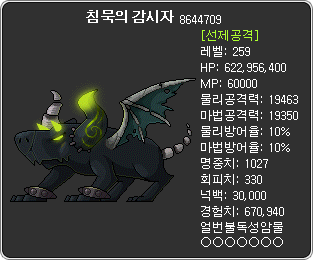 On KMST I still got it, and it still exists so you’ll still get it I bet. Okay I reread what I wrote it and it was really badly worded. Thank you haha. does anybody knows what does this actually mean? I’m guessing before this change you were able to summon multiple black holes at a time. I’ll assume this change will replace your current black hole with another one if you cast this skill again. Sorta like how summons work. does this mean a nerf? means u cant spam it anymore? If I had to guess it probably just means you reset the black hole when you use it again, like Mihile’s mobbing skill. 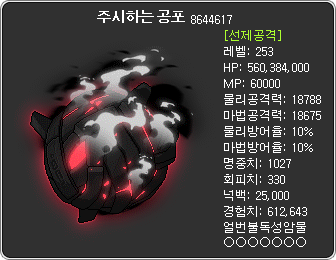 Like the other responder said, you used to be able to chuck out a black hole, and it would stay on a boss until the other was completely formed, allowing you to stack more damage, faster than BPM, at a net positive PP gain (meaning if you bound a boss and just spammed black hole you’d be doing damage that outweighed train+bpm+grab, PLUS be at maxed PP the entire time), now it immediately culls the existing black hole when you throw another, so you want to space it out for the PP gain. It’s still the superior tool for mobbing versus shot though, I think. 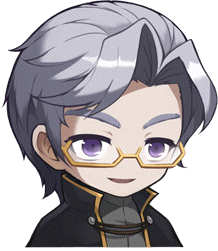 It’s actually 304, not 303.
lol how long does Nexon want to drag this game until with the same boring concepts over and over again? It will not work, as the game is dead in SEA. 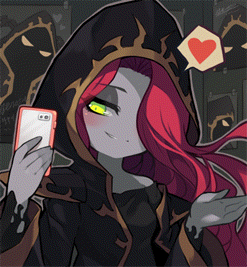 It’s dead in america too, but still thriving and getting tons of promos and crossovers in japan, korea is more alive than ever from the black update. 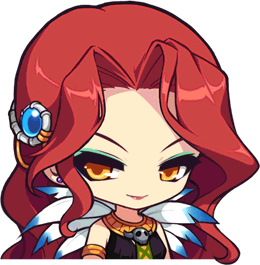 If you’re lucky, SEA will get killed then brought back as a directly nexon published title, like what happened with thailand. Love the Lucid NX stuff, new bosses is nice and sweet a giant bird instead of same old giant mobs and E bosses……Still a bit salty over the 275 but I’m this far in that I can’t quit even if I wanted….. I guess I’ll just embrace the content coming soon in my area. I really wanna know what happened to Lucid after seeing that new screenshot of her. 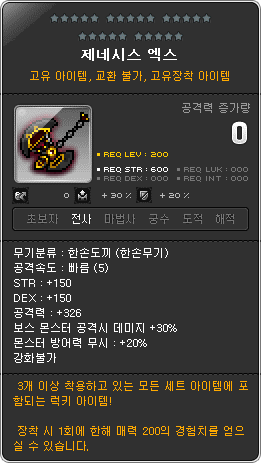 Any idea Tenebris maps drop Droplet Stone, core gemstone, arcane symbol? KMST ver. 1.2.074 – Challenge World! KMST ver. 1.2.073 – Tenebris & Level Cap Increase!